Begin each week with your friendly coach, Motivation essential oil blend. When wistful thoughts of weekend fun linger, remember that this is the time for a fresh start and new opportunity to get after your goals! Stay motivated at home, work, or wherever you may be with the empowering aroma of Ylang Ylang, Lavender, and others oils that inspire feelings of action! There’s more to the second day of the week than tacos. Use Tuesday to visualize yourself thriving and reaching for success with Envision essential oil blend. 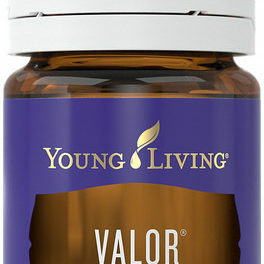 Diffuse this resourceful blend to spark feelings of creativity even during the midday slump! Wednesday can be tough, which is why two essential oils are better than one—and Wednesdays are better with Acceptance and Surrender essential oil blends! Accept the hump-day challenges—and the fact that you are capable of facing them head on—with Acceptance essential oil blend, an encouraging blend that can promote self-worth. After completing your daily tasks, surrender to what the rest of the week will bring your way. Quiet the negativity and believe in your unlimited potential as the aroma of Surrender essential oil blend floats throughout the room. Thursdays bring vibrant energy because the weekend is right around the corner. But if you need an extra-invigorating boost to power through your day, En-R-Gee ’s got your back! Diffuse this fresh, herbaceous blend for its stimulating scent! It’s Fri-YAY—a day to celebrate the hard work you’ve put in and spread your joy to others! Keep the pleasant vibes flowing and diffuse Joy essential oil blend around your home or office for its warm, inviting aroma. Has the chaotic energy of the week lingered over to Saturday? Get together with friends and family as you diffuse Gathering essential oil blend, featuring Young Living favorites like calming Lavender and floral Rose. Maybe you’d prefer to gather a book and some comfy clothes for a relaxing day in. Pair that pleasant activity with Gathering to keep you on the path for higher achievement. We recommend Stress Away because it promotes relaxation and can calm a restless mind. Plus, the sweet citrus and floral notes work harmoniously for a pleasant aroma that complements any day! What essential oils get you through the week? The post Your week needs these essential oils appeared first on Young Living Blog. NextQuiz: Which essential oil should you use today?